I’m proud to be affiliated with a real estate brokerage that has the resources and support of two very well admired and highly respected companies. PenFed Realty is a wholly owned subsidiary of PenFed Credit Union (PenFed) that has $18B in assets, and the marketing power of a world-renowned brand with Berkshire Hathaway HomeServices. This unique combination has contributed towards my company’s phenomenal growth allowing it to earn recognition as one of the Top 1% of all real estate brokerages in the country. Established in 1935, PenFed is a financial institution with more than 1.3 million members and more than $18 billion in assets. PenFed serves members in all 50 states and the District of Columbia, as well as on military bases in Guam, Puerto Rico and Okinawa. PenFed provides its members best in class offerings and benefits in home mortgages, credit cards, and auto loans. PenFed does business in accordance with the Federal Fair Housing Law and the Equal Credit Opportunity Act. My local marketing is customized to meet the needs of my clients. 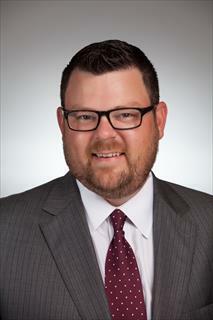 It is complimented with a national brand campaign provided by Berkshire Hathaway HomeServices. Click on the video below to see our latest national TV ad. We believe in giving back to the community that we serve through our support of two charitable foundations: The PenFed Foundation and The Sunshine Kids. 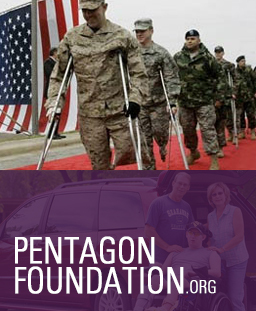 The PenFed Foundation helps service members, veterans, their families and support networks with the skills and resources they need to build a strong financial future. The foundation, a non-profit, changes lives through financial education, credit building, home ownership and short-term assistance. The PenFed Credit Union covers the foundation’s labor and administrative expenses. This means our donations go directly to help our military heroes. One of three core foundation programs, Dream Makers, offers down payment and closing costs assistance grants for qualifying service members and veterans who are buying their first home by providing matching funds. The program assists first-time homebuyers of modest means who are in the service of our country’s national security. The Sunshine Kids Foundation is committed to providing positive group activities and emotional support for young cancer patients. 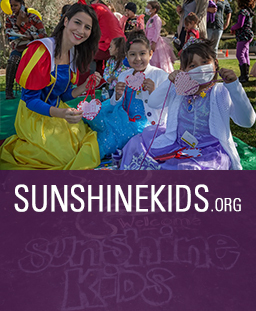 The Sunshine Kids provides a variety of programs and events, free of charge, for kids receiving cancer treatments in hospitals across North America. They add quality of life by providing the kids with exciting, positive group activities, helping kids do what kids are supposed to do... have fun and celebrate life!